This isn’t a sketch created from my Bamboo Create, but it’s rather a look at another creative project I’ve been working on. Some members of our team on Banana Scoop are really into Minecraft, a game that I’ve written about here, here, and here. 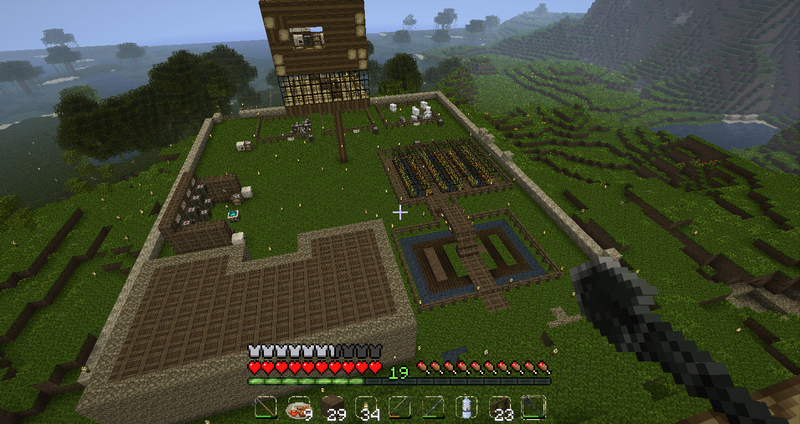 We’ve finally created a server which allows us to play multiplayer and we have since then begun creating a small town. We’re really proud of what we’ve created so far, and it’s only growing. So sorry I haven’t been able to have time to draw, I’ve been really busy building these houses! Here’s a look at the town created so far! Enjoy.